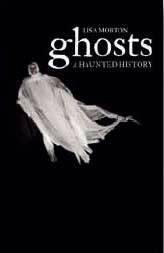 Ghosts: A Haunted History is now available in hardback from Reaktion Books. In the history of the numinous there are few things more common than the belief in ghosts. From the earliest writings such as the Epic of Gilgamesh to today’s ghost-hunting reality TV shows, ghosts have chilled the air of nearly every era and every culture in human history. 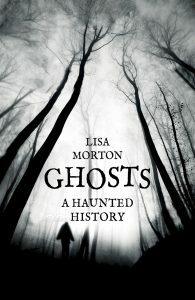 In this book, Lisa Morton wrangles together history’s most enduring ghosts into an entertaining and comprehensive look at what otherwise seems to always evade our eyes. Tracing the ghost’s constantly shifting contours, Morton asks ‘What exactly is a ghost?’, and examines related entities such as poltergeists, wraiths and revenants. She asks how a ghost is related to a soul, and describes the different varieties of ghosts that seem to be. To do so, she visits the spirits of the classical world, including the five-part Egyptian soul and the first haunted house, conceived in the Roman playwright Plautus’s comedy, Mostellaria. She confronts us with the frightening phantoms of the Middle Ages – who could incinerate priests and devour children – and reminds us of the nineteenth-century rise of Spiritualism, a religion essentially devoted to ghosts. 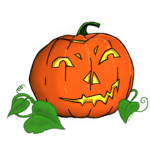 She visits with the Indian bhuta, goes to the Hungry Ghost Festival in China, and spends time in Mexico, where ghosts have a particularly strong grip on belief and culture. Along the way she gathers the ectoplasmic residues seeping from books and film reels: from the Gothic novel The Castle of Otranto to the 2007 blockbuster Paranormal Activity, and from the stories of Ann Radcliffe to those of Stephen King. Wide-ranging, informative, and slicked with sixty unearthly images, Ghosts is an entertaining account of a cultural phenomenon that will delight anyone, whether they believe in ghosts or not.